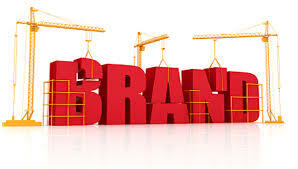 Your brand is your business’ very identity. 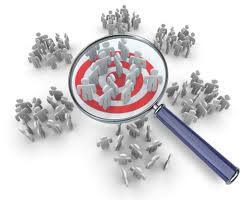 Increasing your brand’s visibility, therefore, is a fundamental component to your marketing strategy. You can spend millions of dollars a year – not to mention an obscene amount of time – propelling your brand to the forefront of the minds of consumers. But are you aware that, thanks to social media, there are a few very easy and non-time consuming ways you can build your brand? Build your Network. It doesn’t have to take hours & hours out of your schedule – even if you just connect with one person a day on Facebook or LinkedIn (it could be someone in one of your LinkedIn groups – or a connection of one of your existing connections), you’ll be amazed at how quickly your network will grow. It is, after all, called “social networking” for a reason. Bolster relationships. What good is having a broad network if you do nothing to maintain and nurture it? Stay in contact with your connections. Recommend & endorse connections on LinkedIn. “Like” other brands on Facebook. Send complimentary and/or congratulatory messages to people in your network on Facebook, LinkedIn and Twitter. You have to give to receive. Get a seal of approval. In the culture of social media, it’s about give and take. As you recommend and endorse others, don’t be afraid to request recommendations, endorsements, shares and “Likes” from people in your network. Enlist these from colleagues, satisfied clients and coworkers, past and present. Record it. Nothing wrong with blowin’ your own horn once in a while either! Document your outstanding accomplishments and achievements for all to see. Be current. One of the many fine attributes of social media is that they make it so simple to update your profiles as often as is necessary. Unlike websites, social media platforms take only seconds to update. So take advantage of that and ensure that all contact information and status postings are up to date. And that goes for your photos as well!! Expand on your thought leadership. Start your own group on Facebook or LinkedIn. If you haven’t already (and shame on you if you haven’t), start a blog and post to it often. Comment on other people’s blogs and answer questions on LinkedIn and Facebook. Post timely and relevant content to Twitter. These are all ways you can showcase your smarts and industry knowledge. Oh, and don’t forget to link your blog to your other social media platforms. Be real in the virtual world. YouTube is a wonderful thing! Make use of it. Create a video – a bio of yourself or your business – or something that illustrates a facet of your business (a how-to or an informational piece). Go ahead – be a rock star in your own right! Research. Social media make it easy-peasy! Get to know all you can about your clients, prospects, colleagues and, yes, even – or, especially – your competitors. LinkedIn and Facebook are great places to get some investigating done! FOR TODAY’S BLOG, I’M CHEATING. RATHER THAN RESEARCH AND WRITE IT MYSELF, I FIGURED WHY NOT JUST PLAGIARIZE FROM THE BEST? (WELL, IT’S NOT REALLY PLAGIARISM IF I TELL YOU OUTRIGHT THAT I DIDN’T WRITE IT, AND GIVE THE CREDIT TO THE PERSON WHO DID!) SO, WITHOUT FURTHER ADO, HERE ARE SOME FASCINATING STATISTICS YOU’LL WANT TO KNOW ABOUT THE 10 MOST PREVALENT AND POPULAR SOCIAL MEDIA SITES, COURTESY OF ONE OF MY FAVORITE GO-TO SOCIAL MEDIA GURUS – NONE OTHER THAN MR. JEFF BULLAS (FROM JEFFBULLAS.COM). My approach is not scientific but anecdotal. It is based upon the crowd voting with retweets, shares and traffic. And they are often right. Any blog posts about Google+ that I have published in the last couple of months receive much more traffic than Facebook articles. The latest statistics indicate that there are 343 million active monthly users. Twitter has just announced (with a tweet ) that it had 40 million users. That is significant growth considering it was only launched in January, 2013. Social media is all about engagement and connecting with people. To successfully run any customer-facing business, the first rule is: Know your clientele. And, in social media speak, that means: Know your audience. Why is this so important? Because your audience (hopefully comprised in large part of your clients and prospects) is your sole reason for being active on social media sites from a business standpoint. 1. You’re Able to Better Focus – If you can focus intently on whom you are targeting, it makes it easy to create content that resonates. And that’s important because generating valuable content that allows you to engage the highest number of people is the essence of your social media business strategy. 2. The Walls Come Down – You’re able to listen to what people have to say about your business – the positive as well as the negative – and respond in kind. Social media is all about, well… being social. And interactive. Social networking affords you the opportunity to effortlessly communicate with your audience in an unprecedented manner. Make communication with clients and prospects a priority. 3. You Can More Readily Respond to Specific Needs – Imagine being able to get to know clients so intimately through social media that you come to the point where you’re able to offer them what they require prior to them asking. You can make valuable suggestions to them and can tailor your services to fit their specific needs simply because you have made the effort to communicate with them. Ask lots of questions and interact often. The ultimate in customer service. 4. You Can Position Yourself as an Industry Leader – When people in your audience have industry related queries or need to be apprised of current information, you want to be the one they turn to. Make yourself readily available to people on your social networking sites – be the expert. Blog, blog and then blog some more. Blogging is a prime way of showcasing your wealth of industry knowledge. And, don’t forget to post links to your blog posts on your other social networking sites. According to a news clip I saw on television the other night, Halloween is the most celebrated holiday, second only to Christmas! I’ve actually heard that before, and if the number of homes decked out with mock graveyards & other spooky paraphernalia in my area is any indication, I would have to tend to agree! Well, I have to admit, I’m being a lazy blogger today. Instead of researching and writing my own Halloween blog, I thought I’d share this ever so entertaining infographic, courtesy of Verónica Maria Jarski for marketingprofs.com, with you. I hope you enjoy it as much as I did! 1. Use Circles to Network – Google+ Circles makes it easy to build industry networks of both clients/customers and like-minded business professionals. As with other social media (think Facebook and LinkedIn), the more people you have in your network, the farther-reaching it becomes and the greater scope your content will have. Add clients, coworkers and other industry leaders to your Circles, share your content on a regular basis and your popular shared posts will rank well in SERPs. 2. Share Relevant & Engaging Content – Stand-out content is the backbone of social media and from the business perspective, a crucial ingredient in your strategy’s success. Your content is how people experience your brand. Sharing relevant and engaging content within your Circles encourages further shares and discussion. 3. Hangout! – One of the coolest features of Google+ is Hangouts. You can use Hangouts to hold meetings, open forums, industry discussions, interviews, events, webinars and, well, just about any other kind of get-together. Hangouts is a new way to come face-to-face (in a manner of speaking) with others and to conduct business. If a client has “just a couple of questions” for you and an in-person meeting is not warranted (no documents need to be signed, no products need to be physically dropped off, etc. ), why not consider using Google+ Hangouts as your forum for discussion. You can offer consultations on Hangouts as part of your services. It’s effortless – you don’t have to leave the comfort of your own office. 4. Garner Lots of Positive Reviews – Creating a Google+ Local page for your business is one of the smartest things you can do in terms of SEO. A key component to Local is business reviews. The more positive reviews your company has, the higher your SEO and the more people will want to connect with you / your business. Did you know that 49% of local consumers are more likely to use a business after they have read positive reviews about that business online? Can you afford not to get lots of positive reviews about your business? How do you do that? Just ask. A satisfied client will be more than happy to endorse you by writing a great review. You can also use testimonials that people have emailed to you. Just ask them if they would be so kind as to re-post the testimonial on your Google+ listing. Did you know that “56% of customer tweets to companies are being ignored.”? (source: AllTwitter) That’s scary. One of the most functional aspects of social media platforms is their ability to provide you with insight pertaining to how your business is perceived by others. Why would anyone want to ignore that? More to the point, what’s the purpose of putting together and maintaining a social presence for your business if you’re not going to pay attention and use it to your advantage? And yes, that includes reading and responding to customer comments, inquiries and most especially, complaints. No one takes particularly well to negative criticism and complaining. And if you want to keep your head buried in the sand and not know what people are really thinking, then perhaps networking your business via social platforms isn’t for you! But, why not look at it this way: Every negative comment, complaint and criticism you receive is an opportunity to glean valuable information and to implement positive change. Feedback, whether positive or negative, is never a bad thing. 1. If a comment is negative but polite and offers some constructive criticism and/or suggestions as to how to remedy the issue at hand, that’s great! Take into serious consideration what the poster is telling you and decide if it makes sense for your business. Respond by thanking the poster for bringing the issue to your attention and for his suggestions, and validate him by letting him know that you will take said suggestions under advisement. 2. If a comment is negative and carries an irate tone and the poster is lodging more of a complaint than criticism, again, you want to validate his feelings. Placate him. Start by letting him know that you’re sorry to hear of his less than satisfactory interaction with your business and that you appreciate his forthrightness. Let him know that you value his business and that you’ll do what’s called for to remedy the issue. It warranted, offer him an incentive to ensure that he remains a faithful customer (a partial rebate, service free of charge next time, etc.). He’ll appreciate this, be satisfied and will likely want to spread the word that yours is a wonderful company to deal with! Customer service at its finest. 3. 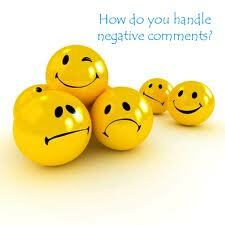 If a comment is negative, unconstructive, deprecating and/or rude, things can get a little dicier. While you want to try to keep your customers happy, you in no way have to be subjected to rudeness and insensitivity. You have two options in this case, and either one would be justifiable. The other option is for you to try to deal with this Neanderthal as you would the poster in point #2 above. Try to placate him and let him know that you’re sorry that his dealings with your business were less than satisfactory. You just might be able to calm the savage beast, but often, people like that are not to be satisfied no matter what you do. In fact, more often than not, these people just want to get something for nothing, or simply love to stir up trouble. Bear in mind also, that this poster could be a competitor just trying to play hardball with you. If, however, there is some merit to the poster’s outrage (someone in your organization made a real blunder), it might be worth investigating. Only you can know and decide for sure if there might be something behind a poster’s emotional outcry. If there is a serious internal problem (and I’m not saying that the poster is any more justified in being rude if that’s the case) it might be just as well that it was brought to your attention, even if it was in such a negative manner. The moral of the story is that it’s never okay to ignore your customers on social media sites. If you do, you might just wind up not having any customers to ignore! A business blog is a tool that more and more progressive companies are using as a part of their social media campaign strategies and branding tactics. A business blog represents your company – it’s the voice of your business. It’s essential that the tone of your blog therefore always be in keeping with your business’ overall brand message and that the content of each post be engaging and relevant to your company’s philosophies – not to mention its products and services. There are a few important rules to keep in mind when blogging for business that will allow your blog to help, rather than hinder, your business’ online presence. 1. Always Use Fresh, Engaging and Informative Content – This is important because if you’re going to spend time writing blog posts on a daily, weekly or bi-weekly basis, the main idea is to attract readers and enhance your business’ reputation. In order to do so, you have to be creative. You have to capture people’s attention and make them want to come back to read your next post. How do you do this? Blog about what you know your readers will be interested in. Think about what questions are most frequently asked about your business or your industry and answer them in blog posts. Scour the daily online newspapers, find current articles and news that pertain to your business or industry and blog about them. Stay current and keep your content fresh! 2. Keep Content PC and Business Related – Remember, there’s a substantial difference between blogging about one’s personal life, hobbies or pets, etc. and blogging for business. In keeping with point number one above, it’s important to bear in mind that the target audience for your blog should be clients and prospective clients – people with whom you want to engage from a business perspective. You want your audience to learn more about your business and what you can do for them. You therefore want to keep your posts, at least for the most part, business oriented and relevant. And, try to refrain from including anything that could be considered politically incorrect in today’s society within your posts. People can be easily offended or put off and the last thing you want to do is alienate anyone! 3. Be Careful With What You Post – You’ve heard it before: Once you post something online, it’s out there and it’s potentially there to stay. Sure, you can edit and delete your posts, but once you’ve hit the ‘publish’ button, always assume that someone, somewhere will potentially see what you’ve posted. That being said, it’s imperative to ensure, before you hit the ‘publish’ button, that your post content is exactly what you want it to be. Before publishing, proof read your material and proof read it again – for content discrepancies, typos and just to ensure that the words are exactly the words you want representing your business. 4. Never Blog About Company Strife – This one is pretty much a no-brainer, especially if you’re the business owner; however, if you’re an employee or an owner who delegates the blogging to someone else, it’s imperative to remember that company grievances are never appropriate content for blog posts. In fact, it’s not rocket science to realize that blogging about such issues would be counter-productive! 5. Never Publish Clients’ Names or Specifics without Express Consent – Again, this one goes without saying, unless you want to be slapped with a lawsuit! If you want to blog about specific examples pertaining to your services and do want to use someone’s name or details specific to them, always ensure that you obtain written consent first. 6. Be Inclusive with Your Audience – Within most blogging platforms, you are able to allow comments. Do it! What better way is there to learn about the wants and needs of your clients than to hear about them straight from the horse’s mouth. People’s comments are a valuable source of information and ideas for you and your business. Take advantage of that. But, keep in mind that it’s crucial to respond to comments and to do so promptly. No one likes to be ignored and it’s not good business practice to ignore what people are saying to you. Respond to complimentary comments with a polite “Thank you”. Respond to negative comments with respect and diplomacy. And, respond to all inquiries in a timely manner.